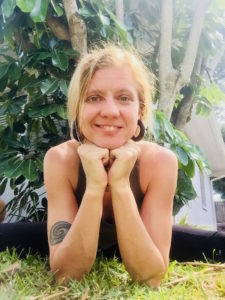 Willow Rain is 200 hr HOA (hands-on assist) Yin and Power Yoga Certified with a Yoga Alliance/Baptiste Affiliate studio, Warrior One, Dunedin, Fl. 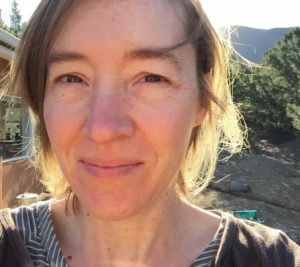 Gaea McGahee completed a 200-hour teacher training at Aura Fitness in Taos in May 2016 and completed the Y12SR (Yoga of 12 Steps Recovery) Leadership Training in the fall of 2017. She likes this way of thinking about yoga, offered by Barron Baptiste, as the unending process of refinement. Gaea began practicing yoga 20 years ago in southern New Mexico when she found her first yoga class at New Mexico State University. Though born and raised in the southern part of the state, she migrated to northern NM in 2011 to live near the mountain streams and high alpine meadows where she’d camped and hiked in her youth. She has a deep love for this place and the community. Lou McCall completed her 200-hour Yoga Teacher Training at the Svastha Yoga Institute in Taos, NM in the classical tradition of Shri T. Krishnamacharya in 2018. Lou weaves her experience and diverse training into what she calls Slo Yo, a gentle, restorative approach well suited for those with injuries, disabilities, and issues of aging. She’s an advocate for those with Traumatic Brain Injuries (TBI) and offers yoga to improve memory and cognitive brain function. Lou shares yoga for the bones, for those with bone and joint problems. She encourages and helps her students develop their own daily practice. At age 10, Lou read “Yoga, Youth and Reincarnation” by Jess Stearn and began an exploration that continues to this day. 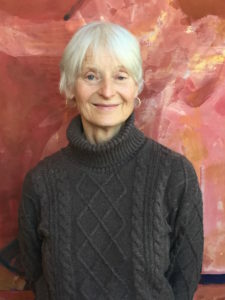 Over decades, she has studied Tai Chi and Chi Kung in the Taoist tradition, taken classes in Iyengar, Kundalini and Tibetan yoga, and has had the opportunity to work with Feldenkrais, physical therapy and yoga therapy practitioners. She teaches meditation and is the author of Meditation for Everyone.